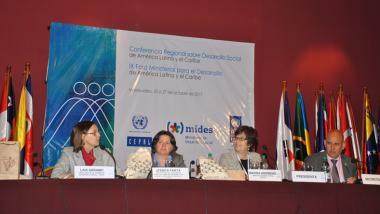 The Regional Conference on Social Development in Latin America and the Caribbean is convened by the Economic Commission for Latin America and the Caribbean (ECLAC), the Ministry of Development of Uruguay (MIDES) and the United Nations Development Programme (UNDP) and will be attended by social development authorities from the region. The document Linkages between the social and production spheres: gaps, pillars and challenges, which will be presented at the meeting, will review recent progress and outstanding challenges in Latin America and the Caribbean with respect to overcoming poverty and reducing inequality. It will also emphasize the importance of institutions for social development and provide suggestions for strengthening policies in that regard.